DeVelde International is a leading specialist executive search and organizational development consultancy. Our areas of expertise are corporate communications, marketing, digital, data and e-commerce. We partner with leading multinationals and Fortune 500 companies in their search for agile leaders and diverse high performance teams. Our clients and candidates trust us to give them impartial and constructive advice. DeVelde International’s consultants are industry experts who blend professional search experience with extensive functional knowledge, because we believe it takes a specialist to truly consult in the niche of international communications and marketing. We are compelling employer brand advocates for our clients. We not only source the best possible candidates, but we actively go to market with a positive employer brand message. The best possible partner to help build your organization’s talent is one that is both socially and ethically responsible. 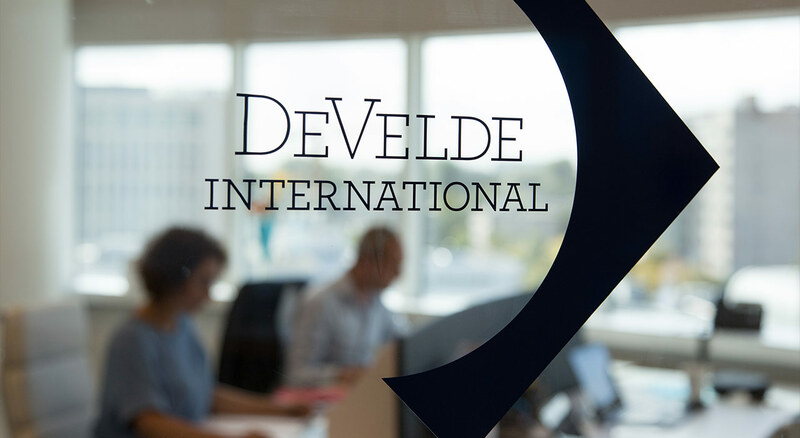 At DeVelde International, we hold ourselves to the highest possible standards to ensure your business success. The organizations we work with trust us with highly confidential information. And we take this responsibility very seriously. To us, confidentiality is paramount. We guarantee you that your data is protected to the highest possible levels. All of our Consultants have signed non-disclosure agreements that ensure they don’t talk about the things they shouldn’t. Everything – from a CV to a phone conversation – is treated with complete confidentiality. Because we treat your business as our business. Every business has a responsibility to the wider world in which it operates. For us, this is supporting initiatives that ensure everyone develops from an even playing field. This is why DeVelde International is a partner of the charity Smile Train.